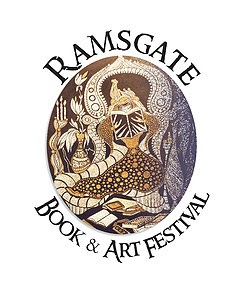 The annual Ramsgate Book & Art Festival is set in the picturesque, seaside village of Ramsgate on the KwaZulu-Natal South Coast. This cultural, colourful and community driven festival is entering into its fourth year and is now firmly entrenched on the South African annual events calendar. 2018 sees the Festival expanding to include another day and the impressive programme kicks off on August 2 and runs until August 5. The Festival takes place along the main road of Ramsgate village itself. Galleries, restaurants, antique shops, courtyards, car parks and the beautiful Whale Deck overlooking the ocean are all ‘venues’ where events unfold. All are within walking distance of each other. Book signings, authors talks, art exhibitions, art demos, poetry by candlelight, crafts, entertainment, street food, panel discussions, book sales and creative workshops are all part of a beautifully laid out and varied literary programme. The overriding theme for Festival this year is “# Connecting” - a broad subject encouraging communication in all imaginable spheres – both physical and abstract. The official opening of the Festival takes place on August 2 at 18h00 at The Artists’ Gallery in the heart of Ramsgate. The opening of the Festival will be coupled with the opening of the prestigious and historical art exhibition entitled Boyley’s World - the centenary celebration of the life and works of South African master painter Errol Boyley. A superbly fitting exhibition as Errol Boyley along with Tittal Fasciotti, WH Coetzer and Walter Battis are but a few names synonymous with the area and serve as a rich inspiration for various art forms, which have blossomed in this region. Artists’ Gallery, where the exhibition will be held, is now home to a collective of eight top South African artists and is the original Gallery where Errol Boyley and his wife Jocelyn exhibited his work – a historical exhibition indeed. The Festival planners are delighted to announce that hilarious radio talk show host, journalist, author and television scriptwriter, Ndumiso Ngcobo, is one of the top authors confirmed for the Festival. Ndumiso spent the first decade of his working life as a Mathematics and Science teacher, research development specialist and technical consultant in the food manufacturing industry. After tiring of the corporate world, he put together his years of writing and in 2007 released his comical, wry and topical literary offering, Some Of My Best Friends Are White, which became an instant bestseller, peaking at number two in the Sunday Times Bestseller list. It is presently being translated into Italian and German. Following hot on the heels of this bestseller is laser-sharp commentary on the Rainbow Nation, entitled Is it Coz I’m Black? Also taking part in the festival is multi-talented author Paul Crilley. Paul has been writing professionally for the past 15 years and has written comics, worked on five computer games, worked on over 13 television shows and written eight novels – his latest offering being Poison City. Well-known author speaking at the Festival is crime writer, Monty Roodt. Monty is presently the professor of Sociology at Rhodes University in Grahamstown and he will be chatting about how and why we are fascinated by the dark-side of life from a crime point of view. He will also touch on the contents of his latest novel entitled Dead Man’s Land. Charismatic vet, short story writer and speaker Tod Collins is considered by many to be South Africa’s very own James Herriot and be will sharing his brand new book at the Festival. Rob Caskie is bound to have all enthralled with his special brand of storytelling and author Sheila Naidoo will be chatting about her new offering entitled Higher Ground. Jackie Phamatso, Elana Bregin and Nick van der Leek, who incidentally is the great-great-grandson of Cape-Dutch artist Tinus de Jongh, will be adding their voices to both the panel discussions and individual slots. Three nights of top class entertainment will also be on offer at the Festival. These include a live poetry evening which will follow on from the Festival opening on Thursday evening and Friday night sees the sassy Black Orchid Burlesque S.A. dance troupe and swing-jazz singer Natasha Muller take to the stage in an evening of glamour & pearls. A shot of comedy in the form of stand-up and hilarious improvisation will take place on the Saturday evening, supper theatre style, entitled Shoot from the Hip. A youth programme is also on the cards for the Festival. Young poets are invited to come along and recite their poetry, a recycling art workshop will be held and a delightful children’s programme is again firmly entrenched in the mix with actresses Barbie Meyer and Kay Federl at the helm. August 5 begins bright and early with a sunrise beach mediation headed by author Bernie Vorster. Thereafter, The Ramsgate Conservancy will offer an exciting early morning walk along the beautiful coastline, ending on the Ramsgate Whale Deck with a scrumptious breakfast. A ‘Wine Down’ on Sunday afternoon will take place at the iconic live music venue Rocky Ridge, where all can relax, listen to music and share their connections made throughout the jam-packed four days. Besides the Workshops, Beach Walk and evening shows – entrance to the Festival and all talks are free of charge. Ramsgate Book & Art Festival is organized by Ugu South Coast Tourism’s Ramsgate Area Committee, Ramsgate Conservancy, local business owners and a host of enthusiastic book and art loving volunteers. Follow the Festival on Facebook and Instagram for regular updates or go to www.ramsgatefestival.co.za for more information.